Pylon for welcome, direction, company or project logo signboard for corporate, industrial or retail requirement. We are offering Pylon Signage to our client. Having a definite quality management team, we are best in tendering world-class array of Pylon Sign Board. 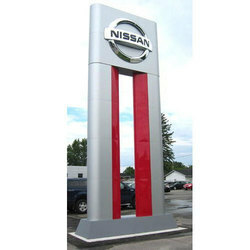 Being a noteworthy organization in this business, we are engaged in offering Pylon Sign Board. 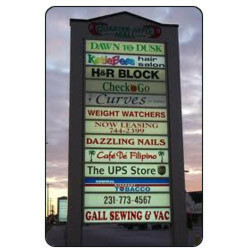 Pylon Signs are generally freestanding vertical signs. They are mainly used as wayfinding signs in resorts and banquets. Also these pylon signs are used as branding where there is not much space on the building facade.